If you were asked to list the greatest innovations in mountain biking of the last 10 years then the chances are you’d mention dropper seatposts, modern geometry and stiffer suspension forks with better damping. I’d totally agree, but I’d also suggest adding waterproof shorts to that list – because I know they were as much of a revelation for me as the first time I used a dropper post. It felt like pure luxury – almost like cheating – to head out for a ride in the rain and/or slop and not have a soaking wet bum about 60 seconds after hitting the trail. 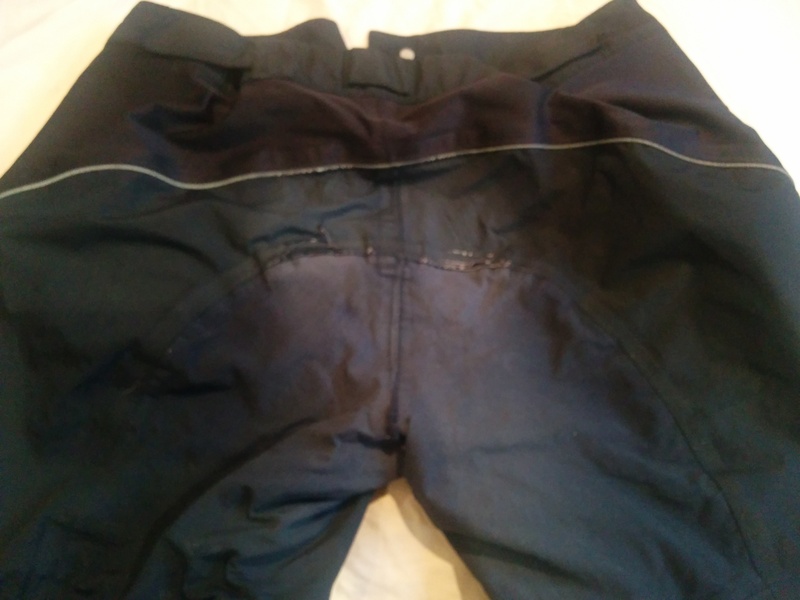 I initially spent about £90 on a fancy pair of Endura eVent shorts which fell apart, then tried some Madison ones which had all the taping fall off the first time I put them in the wash – before I settled on these Altura Attack 3/4s in a promotion at Merlin Cycles which made them a very reasonable £35. They’ve got a nice cut, reasonably slim but with enough room in the legs to fit over DH pads. The waist adjusters work well too. I was a bit porkier when I purchased them – opting for the large size – and they still fit me fine now I’m back in the medium camp. As you’d expect they’re a hardshell fabric (named “React” by Altura) and so they’re less breathable than normal shorts – but overheating has never really been an issue for me. And they do a tremendous job of keeping the wetness out of the arse-zone, even on long and exposed rides. I have to admit I’m on my third pair now – with Merlin having warrantied two pairs which came apart at the seam. The arse is tatty but stil does its job, a bit like my own. I realised afterwards that this was because I’d been riding an SDG Bel Air saddle with raised stitching. Once that was retired the problem disappeared and my current pair is getting on for three years old and only now showing real signs of wear. 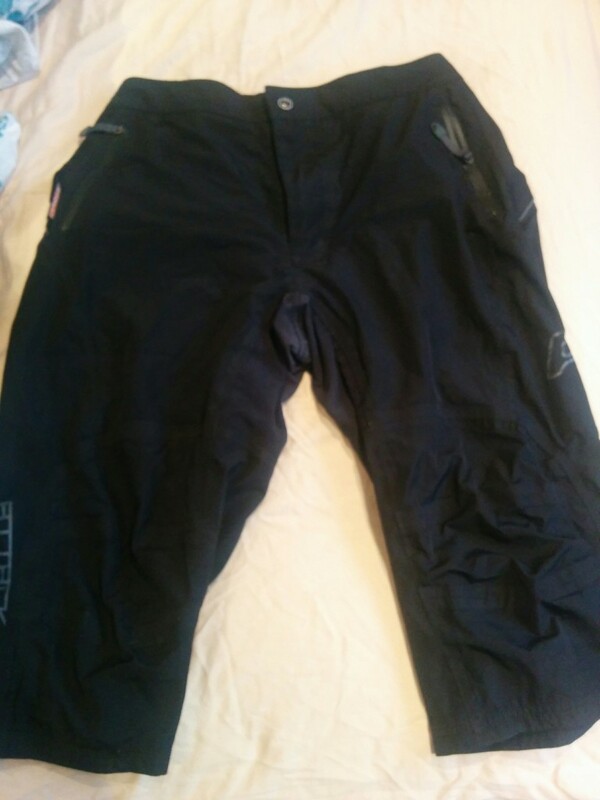 They’re not perfect, the pockets are a bit small and the zips a bit “catchy”, but I have no complaints about them really and I’d probably buy again if I hadn’t discovered military surplus Gore Tex in the meantime (stay tuned for more on that).